Know what you're shopping for before you start. 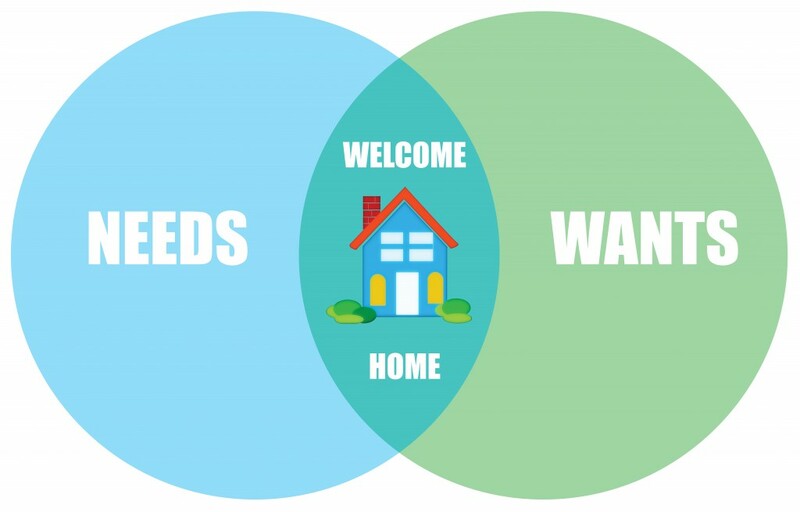 Before you begin shopping for your next home, you should understand that there are two homes out there vying for your interest--the one that meets your needs and the one that fulfills your 'wants'. Ideally, you'd find a home that satisfies both. But, in reality you're going to find yourself confronted with choices. Do you choose the three-bedroom home with room for your family to grow, or the one with the big backyard and deck that's perfect for entertaining? Is having a big kitchen more important to you than a few extra rooms? When you start shopping, you're going to find homes you fall in love with for different reasons. That's why you should list the features you want before you start shopping. Make a list with two categories--"Needs" and "Wants"--and prioritize the items you come up with. Understanding what you really need as opposed to what you'd like to have will help you keep your priorities straight as you shop around. Don't let emotions cloud your judgment. Satisfy your needs first. If you find a home that meets your needs and fulfills some of your desires, great! Jump on it. The important thing is to know the difference before you get caught up in the excitement of the hunt.